Welcome to Sword At-The-Ready, a site dedicated to the presentation and discussion of Conservative American Principles in light of the Scriptures, Our True History, Culture and Politics. For decades, a culture war has been waged on America’s very Foundations, Traditions and Principles to little effective opposition from religious and principled Americans, who have seemingly rolled over and allowed their vibrant faith and bright patriotism to be muddied and shamed, until it is being discarded and relegated to the closet of irrelevance. As such, it has created a vaccuum being filled by secularism and ideas and beliefs anethema to the very liberties we consider Rights, and an open war has been waged on faith and religion, history and heritage in America. Today, the Culture War in America is morphing into a quiet civil war, where outright political warfare has been declared on the remaining vestiges of what has made America great. We are witnessing an imposition of a Socialist Mobocracy on the country to the applause of a large number of Constitutionally ignorant people. I for one, have seen and heard enough, and will not allow this to continue without a fight. The time has come for Americans of principle and faith to stand up, draw the sword and cut through the nonsense and garbage that is robbing all Americans of the freedom we’ve taken for granted. It is imperative for our survival as a People, Faith and Culture, that Christians and Jews regain their saltiness and season this culture and nation as was intended by Our Founders before we lose this Great Experiment to the trash heap of the republics that came before us. We are nearly there. We did not arrive at this point in history overnight. 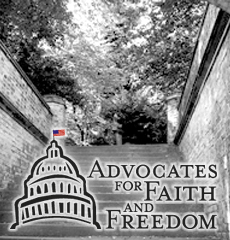 Recapturing and Restoring our Religious Heritage and Foundations from the grassroots on up is key to preserving our Liberties, and this site is dedicated to that effort with the help and insight of fellow Americans. Original commentary on this site is ©copyright by the owner of Sword At-The-Ready and may be reprinted and used with acknowlegement of this site. Love this site! Your comments are dead on accurate. Excuse me. Is there a way to email you or PM you? One last comment, maybe it’s my turn to be paranoid…. If thread ever gets posted at Uncle Bobs, it wasn’t me that did it. I am not going to post it there or anywhere. Gossip is talking to somebody who is neither part of the problem or solution. I THOUGHT you would be part of the solution, both here and at TB. I THOUGHT you’d do an intervention. I was wrong. First of all, your definition of gossip is totally incorrect. Anything negative one has to say about someone or some entity outside of the person’s knowledge or involvement is gossip. Second – I WAS part of an intervention. It simply did not go the way YOU WANTED IT TO. If you think otherwise, you can PM or e-mail HW and ask what it was he was going to allow me to do with you because of my intervention. However, your last post just keeps making my point Lynnie. You keep trying to make this an issue it was not. You accuse that of which you, yourself are engaging in. Then you go and post on my blog what other people are saying about this issue FROM other forums in an effort to AGAIN justify yourself. You are EXACTLY what I have been trying to explain to you, and what the Officers at TOL have seen and agreed the course of action that was taken. This conversation is now over – and you will have to go read it’s entirety over wherever else it is being posted and castigated so you can continue to feel justified to yourself. This conversation underscores that fact. BTW, Annanias and Sapphira in Acts 5 were not struck down because of a lack of accountability – they were struck down because they tried to fraudulently make it appear to the congregation that they were major benefactors of supporting the Church by selling property that they kept a chunk of for themselves. Their motives were wrong, and that is why they fell dead – it had nothing to do with making their finances available for review to the wholesale public or any contract rates they received. Another misapplication of scripture to your situation. I guess we have beaten this dead horse long enough. By the way that was Bill Gothard’s definition of gossip, not mine. Thank you for your attempts to intervene and work things out. I know you have tried your hardest to do what you see as right. I am sorry that you still appear to believe I posted anonymous things at UBs that I did not post, but it does not matter now. There are many boards that talk about news and preps and survivalism and economics and “doom” and Christianity, and both of us will continue to hopefully contribute something in whatver cyber social circles we end up in. May God bless you, and thank you again for all of your time and efforts and concern. And of course anything that you do not like having posted here on your blog you are certainly free to delete. Great site. God bless you! If my root dictionary is wrong, do forgive. The prefix ‘con’ is used as a recessive,as in CON-vex or CON-cave.SO,therefore would the label conserve mean to withdraw/hold service? As an American, and one who’s grandfather was a minister, the lesson ground into my spirit was that G-D made our selves in HIS image so how are we to JUDGE what lessons await another? Just a thought from ONE who is attempting to complete the task given… BY HIS RULES. Since discovering your site I have enjoyed many of your offerings. Several decided it was worthy of a blog post. My background is research and study of Islam. I’ve been doing that for several years now and writing about it at various other blogs. I find it remarkably amusing how leftists claim to be superior in intellect yet fail so miserably to understand the enemy we face. We are at war but not with terrorists, in fact we are war with Islam. They declared war on us many years ago. The left continues to amaze me with their obvious cognitive dissonance. They like to project themselves as progressive which to me is quite naive and silly, when in fact they are far more close minded and intolerant than those they label neo-con. At any rate, keep up the great work! I’ll recommend adding your site to our blogrolls. Finally, found it. Thanks guy’s for shedding some light on a dark and lost America. I think there are many “Davids” out there standing in the valley of Elah wondering how were going to go against the Philistines. I being one. When does the battle begin? Love this site. I will visit it until the day Obama bans all conservative media outlets. Sometimes i get busy working and forget to visit. I would ask that you setup an email newsletter or something when a new article is published. Just a suggestion. I love this site!Is there anyway to subscribe for updates? I’m looking forward to the one and only true government that I will be willing to die for. No human design, no matter the good intention, will ever see a drop of my blood. …in the mean time I will fight and/or die for/with my brothers and sisters in Christ for the Kingdom of God – the only government worth living and dying for. Funny ain’t it. The Founding Fathers of this nation established it originally as a Republic , not a democracy (Article IV Section 4) . Every time I bring that up to someone , I end up with a half answer of garble. I’ve had an unbelievable calm inside of myself lately. I see people “running to and fro trying to gain knowledge” , Daniel 12:4 . Seriously. People are really scared. But I find that those who are most afraid and looking for the answers have no faith or don’t know what they believe. Problem is they will never find what they seek because they look in the wrong places. Like it or not – the Bible is the only factual account of what is at hand. The war has already been won – there’s only a few battles left. The weapon in your logo above appears to be a Buki-Zukuri Koshirae. They are finely crafted and deadly but why not use the American Saber? Because katanas (not just the furniture – koshirae) the blades are the pinnacle of perfection in sword technology. No other blade comes close to the perfection. Yeah it all goes together as a complete outfitting. I’ve always admired the craftsmanship. Do you believe the sword mentioned in Romans is a metaphor for the internalization of the battle we all fight against the Earthly forces. The Word of God is the the Sword. That’s the analogy, not a metaphor. Tell me what you think of Rush Limbaugh. I just linked my site to yours. “Larry’s Internet Soapbox” wants to be like “Sword at the Ready” when it grows up! Great Job! PDF file of the actual 1,018 page bill. Have a lawyer handy to help interpret. lange, good job! i am just so tired of the anti God stuff trying to mingle with those who feel sorry for thier ignorance. the sword represents the truth , something you and your government have no clue about. I have trouble with an intelligent response. You supported Bush, I support a wannabe tyrant. Obama is much better than Bush and as close as you could come to Hitler in a democracy. Wake up sleepy author. Goodbye. I don’t have time for common sense. this site cracks me up, because i’m an idiot and have no understanding of anything except Marxist and Socialist drivel that makes me hate those of you who prosper. I’m just wondering about your banner. Why exactly do you have a japanese kitana sword in it. I have too say I’m quite offended by this sir, the feudal japan, was a polytheistic society and hereitics against Jesus Christ. Why is it, that you have one of thier symbols as a symbol for America? That sir is almost heresy toward our christian nation. Perhaps instead of a kitana samurai sword, you could replace it with a roman bronze sword, since alot of our republic policy is a refinement of thier own principles. Just a seggestion sir. 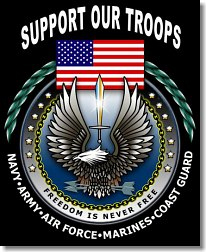 I love this site and all it stands for god bless. Well Mike, I appreciate your comment – and there is a reason I have a katana rather than a Roman or medieval broadsword as the visual depicted to represent a physical illustration of a spiritual and ideological concept. Of all the swords man has devised, the katana is the pinnacle of sword technology. I will eventually write an essay to explain this more in detail with biblical analogies – but suffice it to say that Japanese sword technology creates the sharpest, most durable, flexible and perfect combat sword man has ever devised. In my own opinion – there is no better physical sword to depict the Sword of Truth that the scriptures represent. That is why that particular sword was chosen. invar – I like your site, it speaks to the facts and the motivational dynamics that represent the undercurrents of our socio-politcal paradigm. The only separation of church and state that exist in our country is the gulf between God and man, because of sin and mans refusal to submit to correction. I have used your latest image in a story on my site. If you are willing to grant permission, I’d like to keep it there, if not I will replace it with something less prominent; it is linked back to your site if anyone clicks on it. Also, if you grant permission, who should I credit with the design? Just found your site almost by accident. You may recall the UserID of Airedale that I used on TTOL. Well short story is that I was banned from that site. I spoke favorably of Rick Perry and negatively about Ron Paul and I think I stepped on some toes there. I recall you made a comment in that thread and I appreciated that as I was being attacked on all sides it seemed. Anyway I gave up on TTOL and think I will spend that time reading your blogsite instead. I will peruse your blog before I join but so far it seems to coincide quite a bit with my views ,political and otherwise. I take it this means you don’t like Muslims, Buddhists, Atheists, Agnostics, Native Americans, and blacks. I just discovered your blogs from a Facebook like. Been reading through them, and I love it all. Your efforts are not in vein, and you make valid points backed by references and factual data. Obviously, you aren’t an apologetic Marxist left-leaning liberal Islamist sympathizer. In the immortal words of those underdogs who made themselves heard by being individual thinkers, “Boom chugalugga, boom chugalugga, boom chugalugga, BOOM!” ~ Bill Murray’s platoon in Stripes. I’m a f*ing Obama-lusting lunatic. I like to phuck myself and pretend I’m being raped by Obama. Communism is the vessel of evil. We have built ports for it in America. Shut them down before the killing begins. I used His “Heinous” purposefully. As in – he and his worshippers see himself as a messiah/king/dear leader – so therefore the derogatory reference to his title of “Heinous”. John Schlageter General Counsel of the Archdiocese for the Military Services, USA. wrote and asserted such. Considering that obama has attempted to blockade open air memorials and ordered the Park Service to close access to the ocean in Florida, such petulance as already exhibited is expected from His Heinous. You are so right, love this site.